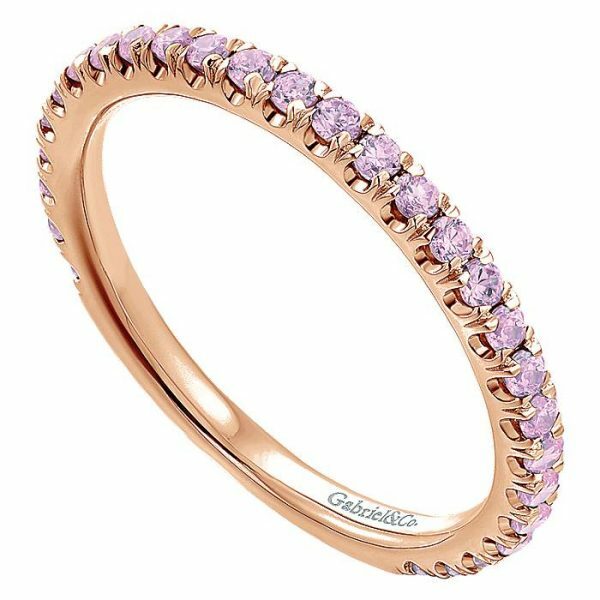 14k Rose Gold Pink Zircon Ladies Ring. 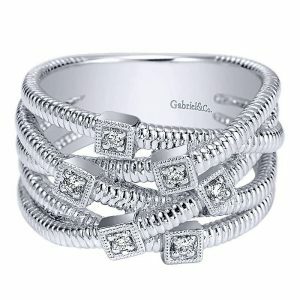 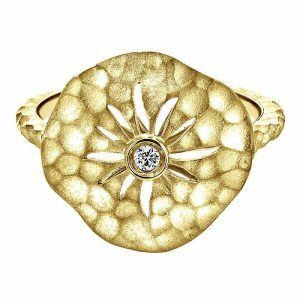 Embrace your softer side with this effortlessly feminine stackable ring. 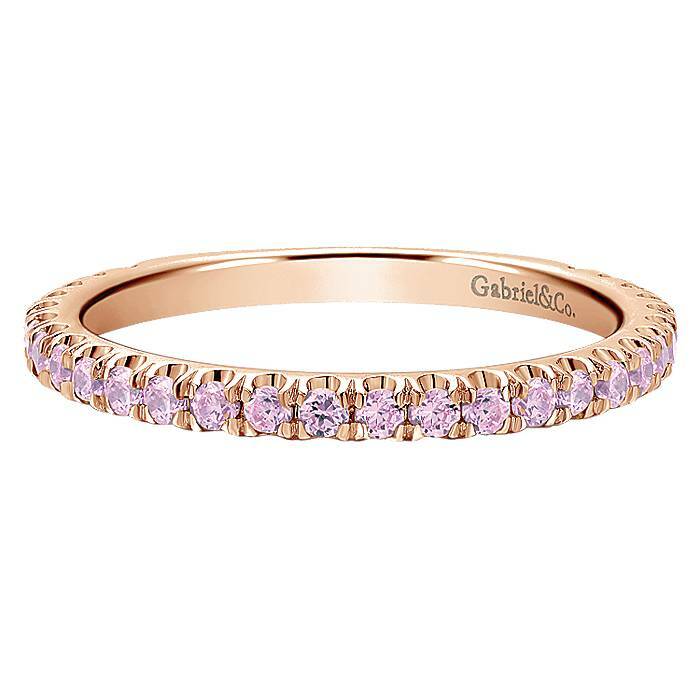 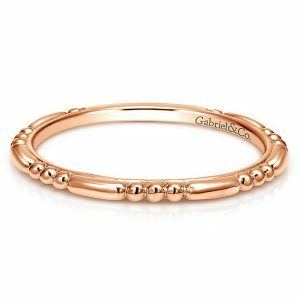 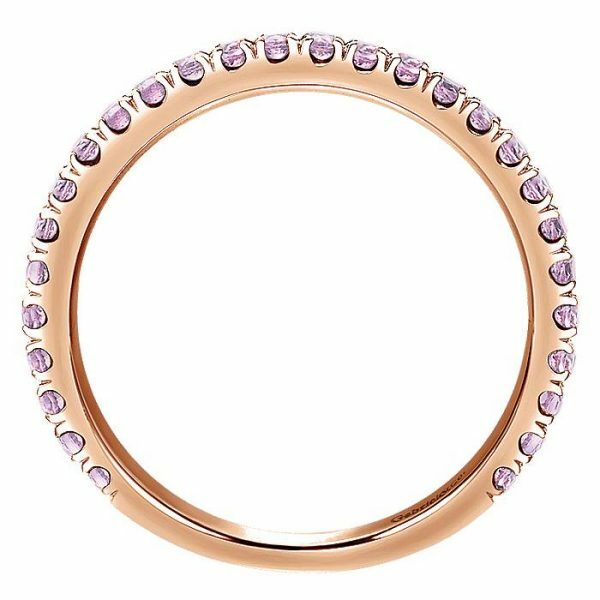 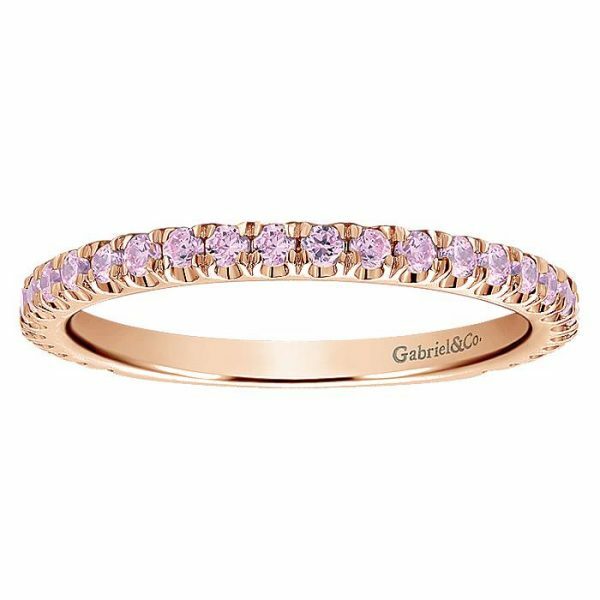 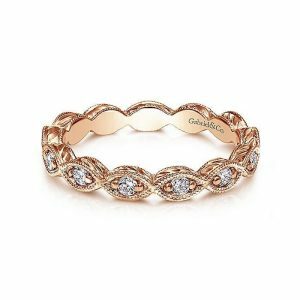 The simple, scalloped band is crafted from polished 14k rose gold. Round pink zircon stones are positioned throughout for a charming pop of color.